Versatile bath bar can be mounted up or down to fit. Oval wall plate has raised platform edging and decorative sconce arm. Suitable for damp locations. Perfect for bath, kitchen, and service porch areas. The Eglo Tenno Wall Light in an antique brown finish complimented by genuine lead crystal is equally suited to traditional and transitional settings and measures approximately 10" wide by 5" high. 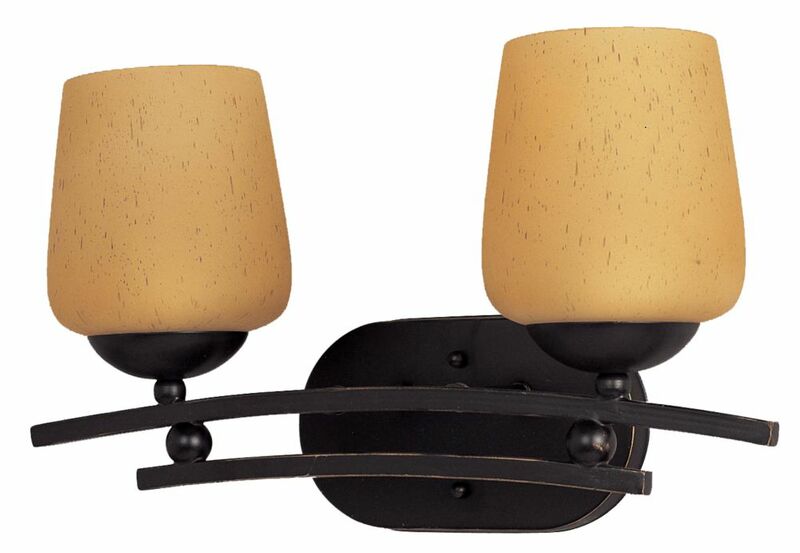 The two light fixture can be used in any general purpose setting, such as hallway, office/den or great room. Use two G9 type bulbs, max. 40W included for your convenience. This light fixture can be used with any standard 120V dimmer for the widest flexibility of light output. Concentric curved panels form a drum shade. Pieces of the shade are spaced giving the illusion that they are floating in alignment offering a creative fixture. Mounting hardware included for quick installation.